with Chicago based artist Samuel Levi Jones titled Reciprocity. and continues through April 30. Samuel Levi Jones addresses the authority and antiquated position that encyclopedic and institutional books and volumes have held as a source of information through out history. Jones uses the material that once held the authorship on history as a manipulatable platform to re-examine history itself and draw attention to figures, events, and triumphs of those often overlooked in written accounts, individuals of color and women. 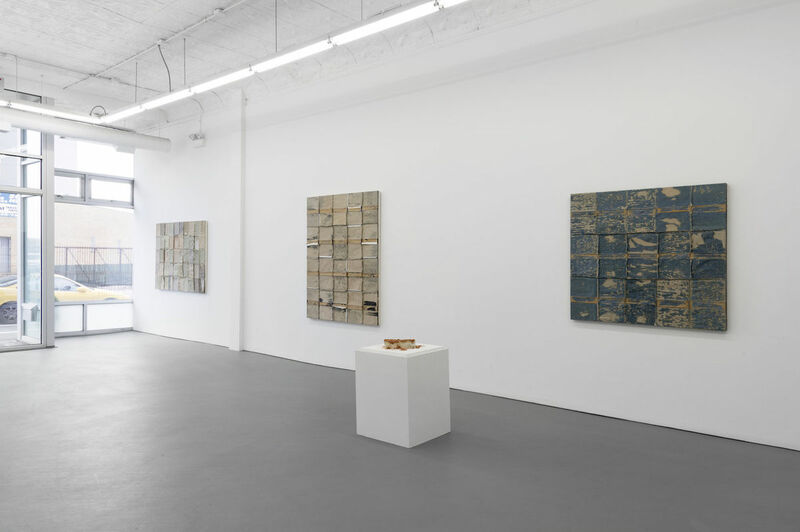 Through a process of breaking apart the books, deleting its pages and text and re- structuring the material, Jones creates a clean slate for the insertion of a new and updated revision of history to the material. An anthropological approach is at the core of Jones’ practice. 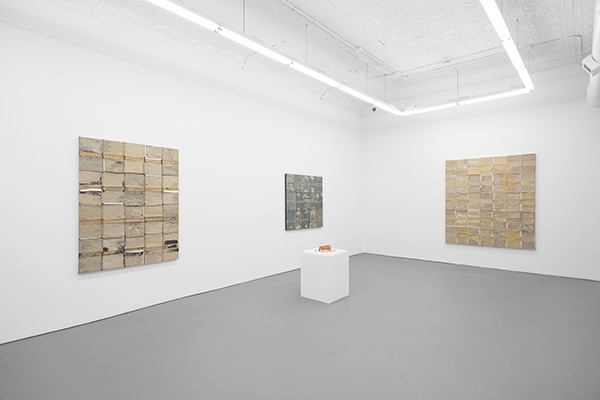 While the abstraction of the work is arrived at through a physical process of erasure and deconstruction, Jones allows for the qualities of the original material, its colors, textures and physical attributes, to have a voice in the direction the work is created. 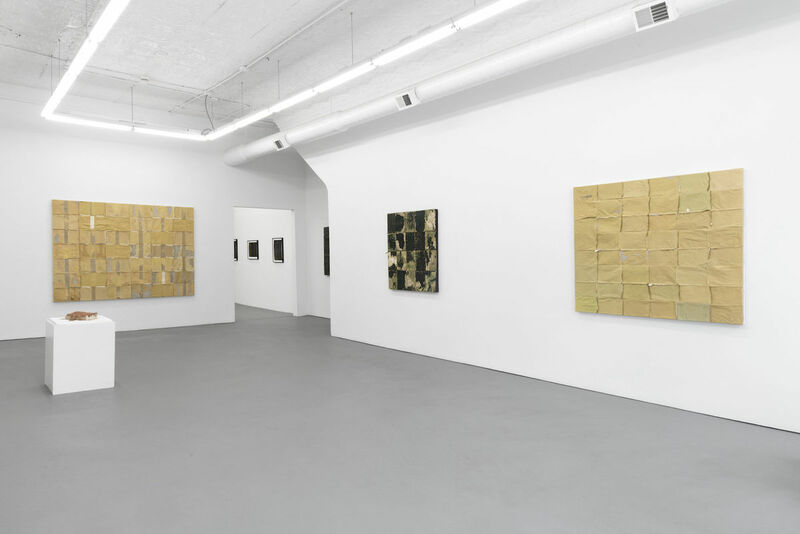 The historical provenance of the material is the ideal foundation for a process that is looking to expand and reexamine on moments of deficiency. Quite timely in relation to current events, a major focus in the work in Reciprocity is made of repurposed law case study books. Taking cue from the title of the exhibition, the shells of this material is presented void of its guidance and lessons, serving as infrastructure to create a more mutually reciprocal approach to how our history is written and influenced. SAMUEL LEVI JONES (b. 1978 in Marion, IN) is an interdisciplinary artist working and living in Chicago, IL. Jones earned a B.A. from Taylor University, a B.F.A from Herron School of Art and Design in 2009 and an MFA from Mills College in 2012. 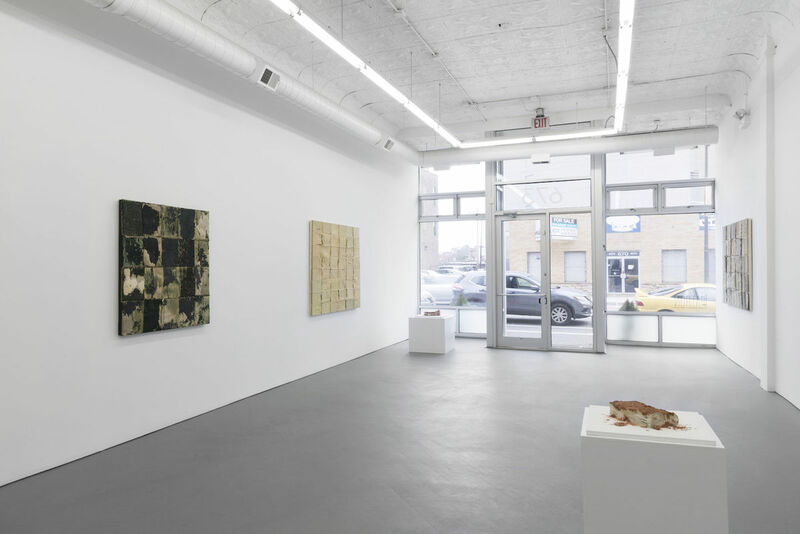 Recent exhibitions include After Fred Wilson (2015) at the Indianapolis Museum of Contemporary Art and Unbound at the Studio Museum in Harlem, NY. 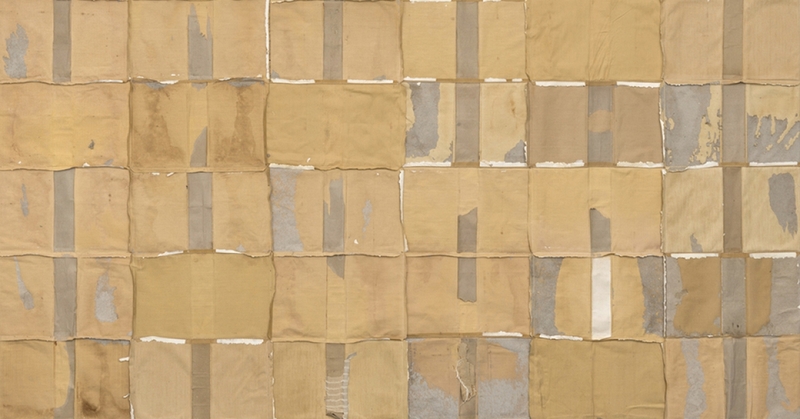 Jones is the recipient of the 2014 Joyce Alexander Wein artist prize, awarded by the Studio Museum in Harlem. 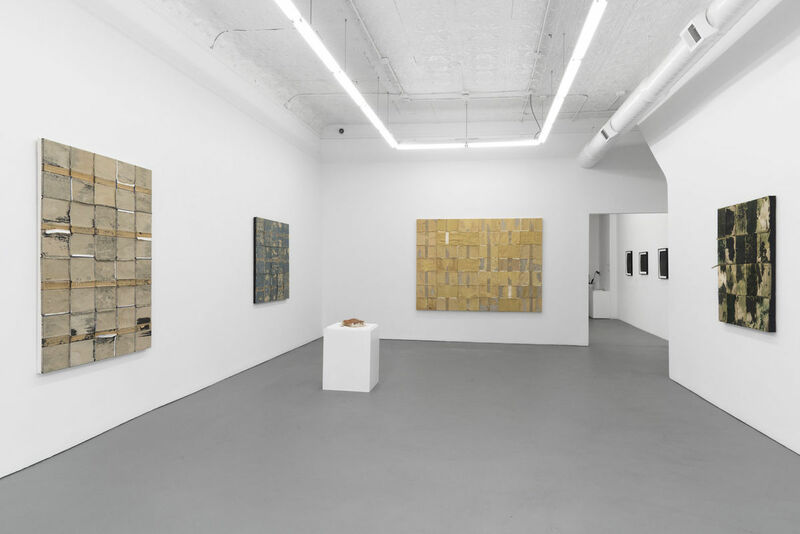 Jones’ work is in the public collections of the San Francisco Museum of Modern Art, The Rubell Family Collection, Miami, FL, the Los Angeles County Museum of Art, Los Angeles, CA, and The Studio Museum in Harlem, NY.